The average price for this game since released is $19.22. The game first became 50% off on Nov 28, 2014 at NewEgg. Lowest historic price was $4.50 on Nov 21, 2017 at Microsoft. Today at the Microsoft Store six bucks gets you Sleeping Dogs Definitive Edition. Free shipping in the US. New low by $2. We've seen the Sleeping Dogs Def Edition fall $0.50 cheaper before, but still a rare / good price at the Microsoft Store at $7.99 free ship (cheapest box copy every). Funny enough Microsoft is selling the download for $50, so bizarrely cheaper in comparison. It's still not that often you come by cheap Xbox One digital download codes, but there is a pretty good deal today at Amazon. Sleeping Dogs Definitive Edition down to $7.50 at Amazon. Today only discount and a new low by over $2. Sleeping Dogs Definitive Edition on the Xbone slashed to $20 at NewEgg. Even after a $3 shipping charge it's the lowest price ever by $2. Next best is $31 at Amazon. If you're wondering what's actually new/different about the Sleeping Dogs Definitive Edition, Polygon did a decent write up. The average price for this game in the past 6 months is $3.82. The game first became 50% off on Nov 26, 2014 at GameStop. Lowest historic price was $3 on Dec 21, 2017 at Square Enix Store. Anytime Sleeping Dogs Definitive Edition falls below $5 is when you should pick the game up. Provided of course you don't already have it. Steam key. Hot damn. Square Enix is keeping all the best savings this year's Winter Sale off Steam Store and GMG. Instead, they're toss hot pricing on their own online store. You can now grab Sleeping Dogs Definitive Edition for only THREE DOLLARS. This is a very worthwhile purchase. Hell, I just picked the game up finally myself. Great time to pull the trigger on Sleeping Dogs Definitive Edition. Today GMG has it down to $4.04 after coupon - lowest price ever, and 87% off the usual $29.99 MSRP. New historic low price on Sleeping Dogs: Definitive Edition at Steam Store this weekend. 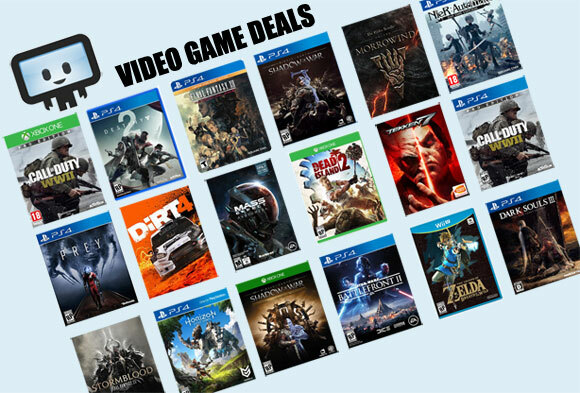 It's a crazy good deal for one of our top pick open-world game. If you don't have it in your library, get it now. New discount on Sleeping Dogs Definitive Edition at GMG gets the price down 77% off the usual $30. Today only offer. The average price for this game in the past 6 months is $4.64. The game first became 50% off on Nov 28, 2014 at NewEgg. Lowest historic price was $4.49 on Dec 11, 2018 at PlayStation Store. Another title reaching new low price thanks to PSN's flash sale. Sleeping Dogs Definitive Edition is now only $4.49 - beating out previous low by a healthy margin. Must pick up in our opinion in any PS4 gamer's library. Rare discount on a PS4 Download code for Sleeping Dogs Definitive Edition. Ties all time low for the PS4 version. Physical copies currently selling for $20. Best Buy has used PS4 and Xbox One copies of Sleeping Dogs Definitive Edition on sale for only $10. If you like open world games or a fan of great crime stories, you may want to give the game a try for cheap. Sleeping Dogs Definitive Edition hits a new low price today for PS4 and Xbox One at BestBuy. Elsewhere $40 and up. Includes total of 24 pieces of downloadable content ($80 value). The upcoming Sleeping Dogs Definitive Edition on PS4 and Xbox One is available for pre-order from NewEgg at $55. The Definitive Edition includes 18 DLC Packs and limited edition artbook packaging. The average price for this game since released is $14.21. The game first became 50% off on Oct 4, 2012 at Amazon. Lowest historic price was $4 on Apr 14, 2014 at Green Man Gaming. You really should get Sleeping Dogs at $4. One of the best open-world GTA-style game out there. Good story and good settings makes this a worthwhile add to collection. Can't go wrong with Sleeping Dogs for $5. Ties the lowest price we've seen yet on this very underrated title. If you don't have this game, its worth an addition to your library. Steam key. Sleeping Dogs is down to five bucks this week at GameFly after a 75% instant savings discount and stacking coupon code. The Digital Edition includes the "Triad Enforcer Pack" which separately costs an additional $7.99 on Steam. Sleeping Dog hits $5 again during GMG's Winter Sale. Good chance to pick it up if you missed all the other previous sales. New low on the PC download of Sleeping Dogs, only $5 after 80% instant savings at Amazon. They matched Steam's price for this week. If you're a fan of the previous true crime games/series, you may want to check this game out. The average price for this game since released is $31.34. The game first became 50% off on May 29, 2013 at Amazon. Lowest historic price was $7.99 on May 29, 2013 at Amazon. The average price for this game since released is $35.04. The game first became 50% off on Apr 30, 2013 at Green Man Gaming. Lowest historic price was $11.04 on Jun 13, 2014 at Green Man Gaming. Sleeping Dogs Pack for $11.69 - new lowest ever price during GMG Summer Sale. This comes with EVERYTHING under the sun in terms of DLC for Sleeping Dogs. Grab once and you'll avoid the hassle of buying DLCs piecemeal. I'd like to try Sleeping Dogs, but it seems like there's so many DLCs it could get expensive... oh wait. Today GMG has this Sleeping Dogs Pack for $12.18 after coupon. That's after a 75% instant savings discount and another 25% off the reduced price after coupon. The pack includes the base game and basically all its numerous DLC packs. List price is $65. The base game alone sells for $24.99 on Steam. The Sleeping Dogs bundle rarely goes on sale, so if you want the complete experience with basically all the DLCs this is a good deal. Otherwise you can grab the base game for $8.99 thru GameStop's Summer Sale (though both deals have been a bit cheaper before). New Sleeping Dogs PC download bundle up on Amazon today for thirteen bucks. Includes the base game and all ten DLC packs. Separately at their best online prices the game and DLCs would run $31. Along with many other packs/bundles being on sale at GMG this week, Sleeping Dogs is now in stock (North America customers couldn't add to cart earlier this week). At $17, you get an excellent open-world game. Includes all seven DLCs plus the limited edition of Sleeping Dogs. The average price for this game since released is $31.62. The game first became 50% off on Nov 22, 2012 at Best Buy. Lowest historic price was $5.99 on Feb 10, 2015 at Best Buy. Pre-owned Sleeping Dogs on the Xbox 360 and PS3 now marked down to $13, free ship at GameFly. For perspective, GameStop sells the pre-owned at $28 and Best Buy's pre-owned price is $25. Groupon has new price drop on Sleeping Dogs at $20, free shipping for the Xbox 360 and PS3 consoles. Previous lowest price was $25 and $14 cheaper than the next best price. Great gameplay and reviews are very positive. Sleeping Dogs pre-order discount at NewEgg for Xbox 360 and PS3. Game releases August 14th. Only other weaker but noteworthy pre-order offer is Amazon for the full $60 list price + $10 store credit. Coupon ends tomorrow.